JERUSALEM — Yechiel Eckstein, an Israeli-American rabbi who raised hundreds of millions of dollars for Israel by promoting closer ties with evangelical Christians around the world, died on Wednesday. "After 2,000 years of oppression and persecution, today you have Christians who are helping Jews," he told The Associated Press last year. "This is an amazing thing." At times, Eckstein drew criticism from some quarters. Liberal American Jews sometimes objected to his ties with the conservative Christian right and his group's activities in West Bank settlements. In Israel, some saw the reliance on foreign Christian groups for financial assistance as inappropriate. Israeli Prime Minister Benjamin Netanyahu expressed "deep sorrow" over Eckstein's passing, saying he "worked tirelessly to benefit the citizens of Israel and to strengthen the bond between Christian communities and the State of Israel." Singer Pat Boone called Eckstein's death "a tremendous and personal shock to me," saying he had worked with the rabbi over the years to raise money from Christians for the support of Israel. 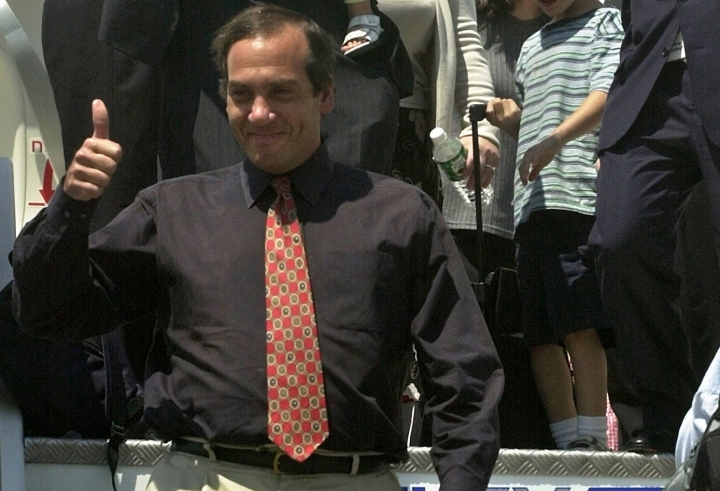 "I will always consider my friendship and cooperative work with Yechiel Eckstein one of the most important facts of my life on this earth — and I hope to rejoice with him in Heaven, the ultimate Promised Land," Boone said in a statement. Eckstein is survived by his wife, Joelle, three daughters and eight grandchildren, according to his group's website.